Every day, thousands of young Nigerians go about looking for job online and offline. The truth is, only few end up getting jobs while others keep looking for job. I have also discovered that jobs do exist in Nigeria but people are looking for jobs in the wrong places. In situations like this, it is well spelt out that it’s time for people to become self employed. Please note, if you have determined that a job is all you need, I have no problem with you. You can go ahead and keep searching, you will find one one day. I just need to let you know that you should never plan to live all your life in a job. 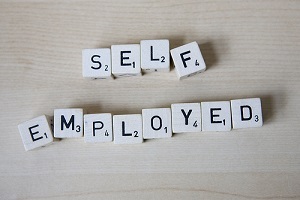 For those who desire to be self employed, you will find below the required steps you need to take so as to become self employed. Also note, this post alone is not enough for you. You will need to do yourself a lot more good by staying tuned to Make Money Online Nigeria. 1. Create a Sellable Business Idea. This is where it starts, being self employed simply means you have a business that you will start, run and make successful. So, you need to think of what product you want to sell, or what service you want to provide. Make sure that it is something you know you would enjoy doing. This is because you would be spending your time, money, energy and other resources. You won’t to waste your precious time, money, energy and other resources on what you don’t enjoy doing. 2. Get a Partner or Partners. After you have developed one or two sellable business ideas, you need to look for a partner. It must be someone who believes in your business plan. Someone who is keen on working together with you. A good partner would contribute more ideas to your plan, and immediately you can see how things are really going to work out now. 3. Register for a Business License. This does not have to necessarily follow after you get a partner but it is a must you register your business for an operational license. This you can get from the Corporate Affairs Commission. They are a body setup for the purpose of granting business the opportunity to be registered. 4. Source for Funding or Bootstrap. After you have critically fine-tuned your business idea and business plan, the next thing to do is to source for funds or bootstrap. The source of fund can be from you or your partner’s savings or your family’s contributions. You would need to get as much money as you could and keep it only for the business. And incase where the source of funding are not coming with respect to your schedule, you should bootstrap while waiting for funding. You would need to learn some basic accounting and also have financial management skill. This is because, as you get income from fundings, donations, business sales or you start expending funds on business tools, you will need to record them accordingly. Find out where you can get the business items you need at good quality and at a low costs. Rent an office (if necessary) in a location that is good for your business or you can start your business from your home or your garage, either to store the items, to sell them, or to provides services. Afterall, most great companies we know of today started in someone garage. Now that you’re ready to work, spread the words about you and your business. You can distribute flyers, sticking up posters, create a website, a blog, social media profiles and pages, place adverts offline and online etc. Just do anything good to promote and drive traffic to your business location (online and offline). Just let your business be known by as many people as possible. 7. Treat customers Right… Always. When you get your first customer, you would be excited. Let the first few ones be your ‘trial and error’. You won’t know how to make things work well unless you’ve got some experience. It’s ok to go slow and steady. Be patient about your income, in the first few weeks or months, it’s expected to be low. You have to keep believing in it and work harder. Big money doesn’t come easy. Be willing to sacrifice long hours of work. And as the time goes by with serious dedication, committment, development etc from you, you would go a long way in earning more and more income. This comes with increase in the number of customers you serve. This is to let you know that you need to develop yourself in every aspect of business. Read business books. Attend business seminars online and offline. Participate in business meetings. In everything you do. make sure you are developing yourself and your business everyday. I think people are still failing to understand the fact that starting a business is the only way to getting out of the rat race. The truth is, people are still scared because they are afraid of failure which is actually the beginning of failure itself. Now they go through hell just to meet that target set by their employers where they receive a meagre pay at the end of the month. But what they fail to realise is the fact that they could actually put in that much at starting their own business and be free in a period of one year and begin to leave the life of their dreams. I did this and i am willing to show anyone how they too can do this. Great post from you and keep rocking. Fear is killing people before their time. They want change but can’t pay the price for change because of fear. 1. Soji how do you make your text or word to be anchorable or clickable?. 2. Talking about self employment in Nigeria,what do you mean by bootstrapping when you do not have source for financial help?. 3. Soji you talked about business partnering. You see we are living in a greedy society especially here in Nigeria. Trusting your business partner can affect you one way or the other,am not saying that trust no longer exist but when it comes to money matter the case for a lion share will arise. So Soji i suggest you manage you business yourself and employ the people you think have the qualities you need for your business to grow (hope you will not say am thinking impossibilities here). 3. Yes, you are thinking impossibility. This is why most business don’t succeed in Nigeria. Partnership is needed here. I’m going to use this as a comment on my blog. Please, next time, ask your questions as comments. This would help others to know more. That is the best way I would be answering your questions now.